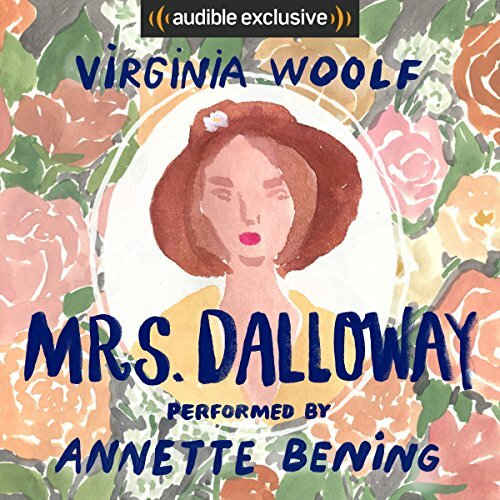 Mrs. Dalloway is part of Audible's A-List Collection, featuring the world’s most celebrated actors narrating distinguished works of literature that each star had a hand in selecting. For more great books performed by Hollywood's finest, click here. Haha! Am I the only one who liked Annette Benning? I thought her dead pan tone fit this book perfectly. Especially when speaking for Septimus. A friend of mine is discovering classics that he's never read, and keeps suggesting books to me. He gave me an assignment to read this book, and then use Sparknotes to better understand the underlying ideas. I must say, I think I got more out of this book because of it. If I hadn't read the spark notes, I probably would have thought it was boring and dull, just as the other reviewers did. Something that I find very interesting about this book is the way Virginia Woolf talks about mental illness. Not many people who are mentally ill themselves can describe the thoughts and feelings they have as precisely and eloquently as she does in this book. She rationalizes Septimus' feelings in such a profound way because she had those feelings (or some very much like them) all her life. I felt like I could see very clearly why she and Septimus both had to do what they did, and how it was the only way. Ugh. That got very dark all of a sudden. Overall, I thought this book was very much like Seinfeld. A lot about nothing. The plot...well, there isn't one. It is more a study on human character and death. It clearly captures the stream of consciousness movement that was happening when this book was written. I am a visual artist, so I was more familiar with works by Dali and Breton than I was of Woolf. I enjoyed this book as much as I would have enjoyed sitting in front of a Dali. It made me think harder than I wanted to, or than I am required to on a daily basis. I was turned off by Virginia Woolf when I was young - maybe she was pressed on me too insistently as a 'woman writer,' definitely I was turned off by some essays I had to read as an undergrad and which I found to be disturbingly elitist. But I had heard from several people that Mrs Dalloway was quite good, and they were right. I really had no idea that Woolf was this brilliant. And Bening absolutely nails the narration. I may not have enjoyed this when I was young, but now I certainly did, and I absolutely recommend it to anyone. What made the experience of listening to Mrs. Dalloway the most enjoyable? 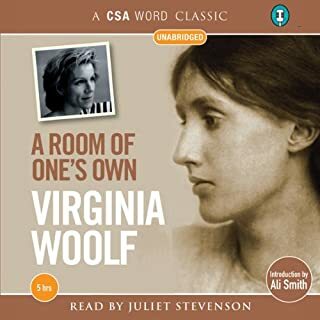 Annette Bening's performance of this classic book was masterful and so reflects the complex themes and beauty of Woolf's words. What was one of the most memorable moments of Mrs. Dalloway? Her description of the descent into madness of one of the characters is so precise that it allows the reader to follow him into his vortex with complete understanding. What does Annette Bening bring to the story that you wouldn’t experience if you just read the book? 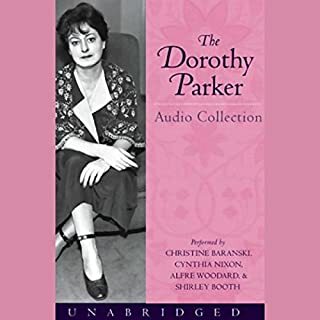 Her voice is so perfectly modulated, she is such a pro....I often don't finish books on tape because the narrator's voice often becomes annoying. Not so with this performance. The end, when the point of view suddenly changes to Richard Dalloway, and so much more is revealed. Highly recommended, will purchase anything else narrated by Bening, and written by Woolf. Do you really want to be in these people's heads? This is possibly the most annoying book I have ever listened to. 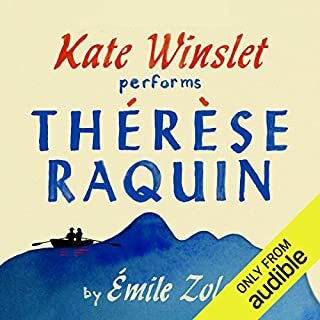 Annerte Bening is great as the narrator of this audiobook: she catches the stream-of-consciousness voices of the characters perfectly. The problem is that listening to these voices is exactly like listening to someone's interior monologue as they natter to themselves about every detail they observe going throughout their day. I haven't read James Joyce's Ulysses, but apparently the writing style in Mrs. Dalloway is often compared to that book. I can't say it makes me eager to tackle Joyce. There isn't really a plot in this book, just character studies. Clarissa Dalloway is a high-society woman planning a party; we follow her throughout her day starting with a walk along Bond Street. She meets an old flame who's just returned from India, prompting reflection about why she married her stodgy, reliable husband Richard Dalloway instead of the more interesting but less stable Peter Walsh. Then the narrative switches to Walsh's point of view, as we follow him going about London, reflecting on Clarissa and her refusal of his marriage proposal and the married woman he's now hooked up with. The book drifts in and out of viewpoints, shifting perspectives and threads of narrative. Mrs. Dalloway is the main character whose head we get into, but we are also treated to the thoughts of Septimus Warren Smith, a traumatized, suicidal veteran of the Great War, whose Italian wife can't understand why he keeps acting ill when the doctors say nothing is wrong with him. 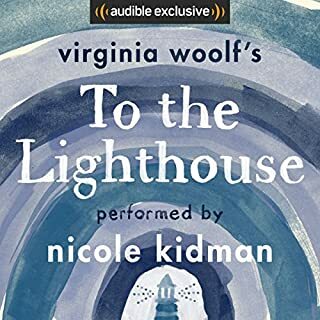 The prose is elegant and pretty and Woolf is quite artful in the way she gets us thoroughly into the characters' heads, telling us all about their hopes, fears, secrets, and entire life histories in snippets of rambling internal monologue. It's one of those "literary" novels whose craft I can appreciate while making me never want to read it again. I can see why Woolf is studied by graduate students, but nothing here spoke to me or interested me, and listening to Clarissa Dalloway go on and on and on and on, treating every precious thought she has like a precious little diamond, listening to self-involved Peter Walsh go on and on and on about his love lives past and present and his failure to "make a success" of himself, listening to Septimus Smith go on and on and on about his dead friend who haunts him and how detached he is from society, made me feel like someone trapped on a bus between people talking on their cell phones. A snarkier review of this book could legitimately be hashtagged with #firstworldproblems, aside from Septimus's PTSD, which I'll grant that Woolf treated with a fair degree of nuance and sympathy for the time this was written. 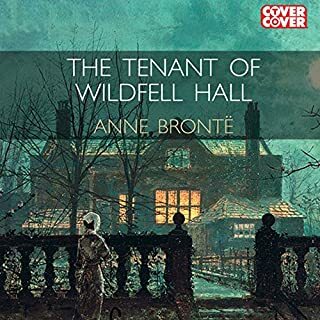 There's also a hint of a past lesbian infatuation and a lot of ruminating on the basic dissatisfaction of upper-class married life, which I guess is why this book is supposed to be an early "feminist" work. It was not to my taste. Virginia Woolf may have been a genius, but I suspect you have to have your head somewhere like where Clarissa's or Septimus's heads are at to love this book. Maybe I'd have found the stream-of-consciousness prose more interesting and less annoying in print. While a fine actress, Ms Bening's performance here is lackluster. I was bored and wanted more narration of the story and less of her "dramatic" interpretation. The story has been on my "to read" list for some time, and I will find time to read the book as I suspect I simply missed much of it. I am so disappointed! This is one of the few books that I have added to my library that I am returning unfinished. Two paragraphs in I knew that I could not listen to the this voice for hours on end. I gave it a bit longer just to be fair but I just could not continue. Narrators make choices and unfortunately, I did not agree with any of them --not the voice, not the phrasing, not the pace--it all got in the way of the story. I now remember I don't like V. Wolf! Not at all. I kept waiting for something to happen. It was dull I sped up the voice to get it over faster. There was a lot of talking but she really didn't have anything to say. Which character – as performed by Annette Bening – was your favorite? None. Though she was good. Narration brought life to the characters. My first reading of a book by Virginia Woolf. Audible was definitely better than trying to read it. ADD much. I couldn't keep up with the random character switches or their observations. I got this book since it was frequently referenced in the great course for learning to write fiction. I can't understand why because every image that was given was too extravagant and made it too hard to put all the pieces together. I really struggled with this book. 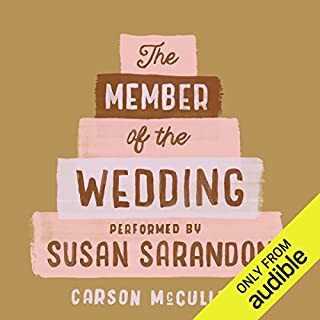 It is the first audiobook I've had that I really couldn't tell you what happened. Ugh.